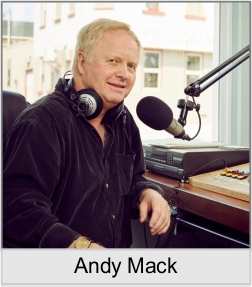 Andy hosts "The Sounds of Scotland" Show. A great mix of Scottish music from the Bothy Ballads, through to the Bagpipes, Folk, Scottish Dance Music, and everything in between. Andy presents the show with his unique style as he shares a laugh and a half along the way. Show archives are here for streaming or download. Graham hosts "Stramash" a 2 hour Show, twice per month. The first has the very best of Accordion and Fiddle Music, and the second, a mix of music and song. 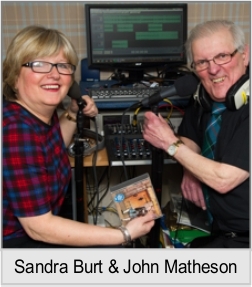 John and Sandra host "Highland Fling" twice per month, which is a 2 hour show of the very best of music and songs from Scotland. Show archives are here for streaming or download..